Now you can use Now3D also in Remote Desktop connections. From version 1.30 Plugins are included. 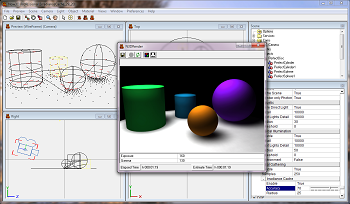 Using the orthographic camera in the view of the objects to be painted. Added the PLY binary format. 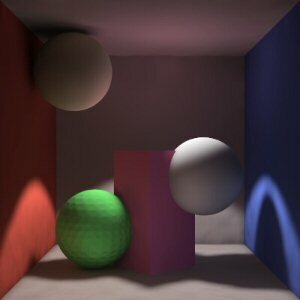 This PlugIn been useful many times to verify the correct calculation of the rays of raytracing. Once you start (double click) you need to click on an area of scanline rendering of the scene. At this point it will generate a 3D object through which to view the progress of the ray shot in the scene. In order to make Now3D, compatible with Windows 7 I had to make a lot of changes in the code including the most obvious regard the interface. Fixed a crash that were impeding its use. Fixed a bug on the erroneous intensity of the specular map in case of no filter attached. The render of the global illumantion modalities has been improved (Distributed, Final Gathering, Irradiance Cache). The distributed reflections for anisotropics materials have been added (Ward, Ashikhmin). Now using surfaces with a bump map applied the wronged pixels on the final picture don't appear. 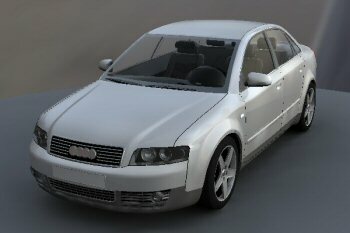 The Blinn material render has been improved. The speed of the rendering by photons has been increased (also for Final Gathering and Irradiance Cache) even of 300% thanks to the KD-Tree algorithm implementation. 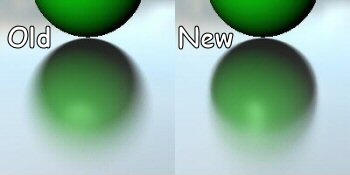 The render of materials with applied bump map (with filters HDR or Bitmap) has been improved. 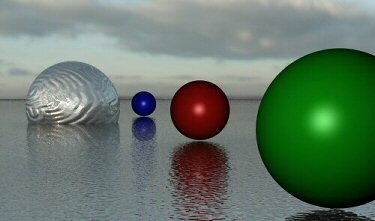 The "Irradiance Gradients" algorithm has been implemented, this means that a rendering of the scene elaborated by Irradiance Cache is more smooth and realistic. Now for each GI bounce will be fired only a photon, with the chance to fire more photons GI without increase the speed elaboration or decrease the quality. The use of the files contains the photons table has been removed. Since now you don't need to download and install the N3DPhotonsPack1.EXE file to get more photons to fire. New photons fire modalities have been added, as for the Point lights (Detail property) so the spot lights (Spot Lights Detail property). Now you can fire 250, 500, 1000, 1000000 and 5000000 photons for Point lights and 500000 photons for the spot lights. Optimizations and speeding up to the code for the maps with filters Bitmap and HDR, with increase up to 10% of the rendering speed. The Radius attribute has been added, this is useful for increasing the Irradiance Cache points density control and to get a render more accurate for environment photons (Photons/Global Illumination/Environment=Yes). The photons gathering modality has been removed. Now Radius type is the default with the possibility to restrict the photons number by inserting a value greater than zero on the Threashold attribute. The information about the time estimated for the Irradiance Cache and Photons elaboration has been added. The Irradiance Cache elaboration has been set of default in case of Final Gathering. Fixed a bug which caused a crash in case of a scene rendering with particular windows rendering size. To repeat the Bug: Change the "window size" properties of the Camera in 512x341 and execute a rendering. 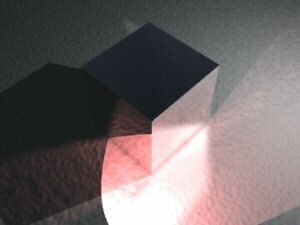 Fixed a bug wich caused a wronged Object Light type brightness in case of rendering by Photons. To repeat the Bug: Create a scene with a Sphere of light type, set at "Yes" the Real Simulation parameter of the light, enable the rendering by Photons, as a result you can see a wrong brightness of the Sphere. Fixed a bug wich caused the creation of much Irradiance Cache fakes points in case of material of transparent type, as a result you have the increase of the rendering time elaboration. 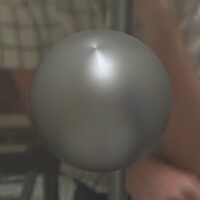 To repeat the Bug: Just elaborate a Scene containing a Glass Sphere in the Irradiance Cache modality.